The American Composers Orchestra which is popularly known as ACO is an American orchestra band based in New York. It has been in the music industry for quite a long time of duration since the 1970s. 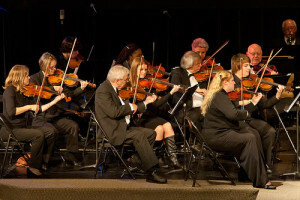 The orchestra is known widely for being the only band in the world which is solely dedicated to creating, performing, preserving and promulgating music made by the American composers. The orchestra is large and organizes some of the biggest concerts in the U.S. The ACO usually organizes its concerts mainly at the Carnegie Hall though there are also other venues where a couple of things are done including New Music Readings, educational programs, radio broadcast and recording. From these events, the orchestra is able to identify the new emerging and unknown composers from different regions to expose to the industry. In essence the aim here is to establish the lesser-known composers from the regional status and take them to a national or international status of orchestra music. They also expose the composer to the new trending styles reflecting the geographical differences and the temporal diversity. In addition ACO is also an incubator of ideas where composers can deposit their ideas to be grown to something bigger and better. There is a lot of talent and research in the orchestra which acts as a catalyst to the growth and changes of the orchestra therefor the ACO acts as an advocate to the American composer and the music that they compose. Up to date ACO has held numerous concerts in which numerous performances from more than 500 new American composers been presented. These performances also include more than 100 performances of newly commissioned work and world premieres. In a nutshell, attending the ACO concerts can have many benefits especially if you are a newly talented composer. Furthermore if you love orchestra music then this is one concert that you would never want to miss.